Instilled by his mother the love for art, photography, architecture and fashion, Alex Pham always dreamt of starting his career in fashion ever since he was in elementary school. His mother always scheduled weekly art sessions where she would tell the stories of Mrs. Jack Gardner’s Venetian Palace and read children’s books to him every night - these were his hours of fantasy and inspiration that lay the cornerstone for his passion in fashion. He knew his dream job would be to create beautiful garments for elegant women and place them in fantastic settings. In 2017, he founded BAESIC. From soft/structured and masculine/feminine, BAESIC is a spirited study of duality. 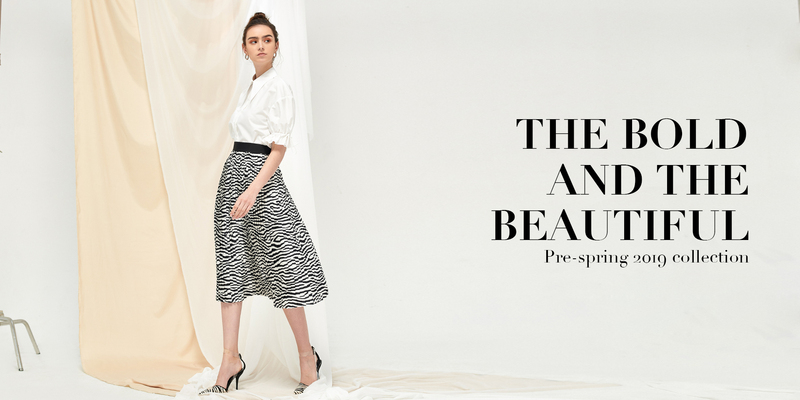 The brand recreates the definition of a perfect workwear outfit: it is functional, basic but also very experiential, where the pieces are bold in imagination and appeal to the fun side: adding, mixing adornments, layering of colours, comingling harmonious hues of solids and prints. This duality defines the brand and creates a moment that speaks to fantasy and inspiration. It is important to stay true to the creative inspiration while remaining mindful of our loyal customers and their love of feminity, wearability with subtle and unexpected sexiness throughout. Tapping into the emerging online and e-commerce trend, BAESIC has built up a gradual online presence and high quality customer experience with the aim of expanding nationally and embarking on international markets. We hold a regular dialogue with our customers with the purpose of recognizing and understanding their interests and expectations at an early stage for the execution of co-creation of value strategy in this digitally-native generation.